A hundred years ago, the Harfields were one of the prominent village families – as prominent in Buriton as were the Chittys, the Leggs, or the Prettys. The 1891 Census return records five households in Buriton occupied by members of the Harfield family. Six members of the family living in the village fought in the Great War and are recorded on the Buriton Roll of Honour. Prominent though they were in terms of numbers, they were relative new-comers in terms of Buriton’s history: Victorian rural economic migrants whose search for a living brought them to Buriton. The family’s origins, such as can be discerned from available parish records, lie in north Hampshire where, in 1769, William Harfield married Hannah Jones. Their fifth child, David, baptised in 1784, moved to Dipley Green, near Hartley Wintney where he became a maltster eventually running his own brewery at the White Hart coaching inn, which is still a pub today. His wife, Elizabeth (Betsey) was the village midwife. The author is currently aware of six different families living today who can trace their lineage back to David and Betsey, one line now being in Australia. David and Betsey’s eldest son (their second child) was Charles, baptised in 1807. Leaving his parents in Hartley Wintney, Charles moved first to North Waltham (1841 Census), and then to Chilcomb, just east of Winchester where Charles and his eldest son James are recorded as lime burners in the 1851 Census. Charles Harfield was still a Chilcomb lime-burner at the time of the 1861 Census, but his eldest sons, James and Charles (Jnr), had moved on by this time. James and his wife Sarah (married at Chilcomb 4th December 1858) apparently moved initially to the East Meon area since it was there that their first son – David – was born according to later Census records. Charles (Jnr) and his wife Hannah (married at Chilcomb 24th December 1860) probably moved directly to Buriton. The family had arrived in Buriton by the first half of the following year, 1862. On 28th May 1862 the first of many family events – the baptism of Charles and Hannah’s first child, Edward Charles – is recorded in the Buriton Primitive Methodist chapel records. The following May, James and Sarah’s second child (James (Jnr)) was also baptised into the Methodist rite at Buriton. In the meantime, on 29th November 1862, Charles (Snr) described as being “of Buriton” had died at the recorded age of 56 and had been buried in the churchyard at St Mary’s. Whether or not Charles’s (Snr) wife, Mary Ann, ever lived at Buriton is not recorded. It is of course likely that she did but on her death in 1871 she was buried at Chilcomb, her address at the time being recorded as Winchester. 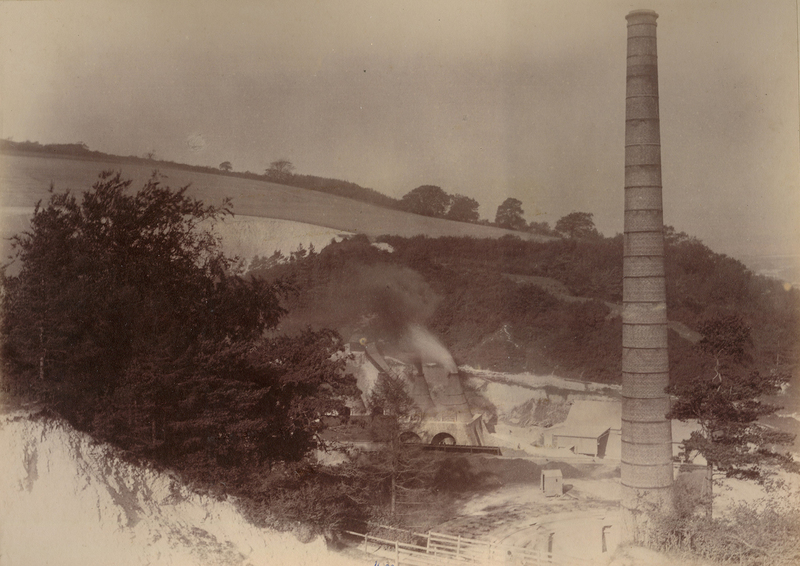 Their eldest sons were now establishing large families of their own and were busy working in the Forder lime works. Various sources now enable a picture of the family to be painted: the Census returns, the Parish Registers, the Records of the Primitive Methodist Circuit, and the notes on the parish recorded by John Wycliffe Gedge, Rector from 1886 to 1890. 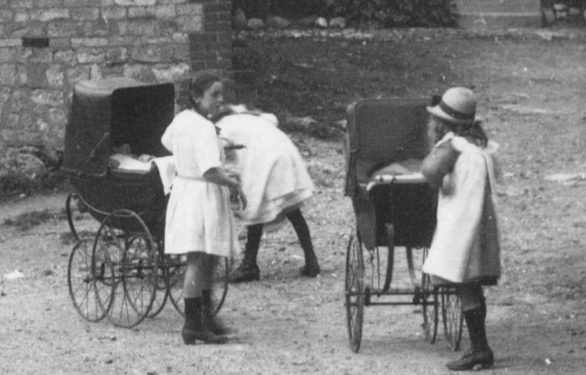 The Census returns (1871-1891) record the family’s steady employment at the lime works, which was initially where James and Sarah and Charles and Hannah lived. The Forder family, owners of the lime works, were Methodists and it is no surprise, therefore, to discover at least some of the Harfields following the religious affiliations of their employers. Although James and Sarah and Charles and Hannah had all their offspring baptised in the Methodist chapel, all their grandchildren were baptised at St Mary’s. For all their regular appearance in the Methodist Circuit records, many members of the family were stalwarts of the Anglican community. Gedge recorded Harfields amongst both the bell-ringers and the choir, although the relationship was obviously not without its tensions. In March 1890, for reasons (frustratingly) unrecorded, David Harfield was “struck off” the list of choristers by the Rector. David (eldest son of James & Sarah) had been baptised a Methodist but clearly participated in the Anglican Church during his adult life. There is no indication that his dismissal from the choir was connected to any religious conversion back to the Methodist rite followed by his employers at the limeworks. A tantalising mystery about the relationship between the Harfields and their employers, the Forder family, remains. Gladys Harfield, who until her death on 25th August 1995 had lived her entire life in Buriton, recalls her father Leon mentioning that there was some connection but couldn’t remember what it was. The only other clue remains in the name of one of the Forder sons who managed the limeworks: Benjamin John Harfield Forder, son of Benjamin John Forder who started the limeworks. Why the Harfield family should be remembered in this way is uncertain. Children born outside wedlock were sometimes baptised with the father’s family name amongst their given names but as yet the baptism records of Benjamin John Harfield Forder have yet to be located and so, for the while, the question remain unanswered. Some family members fell upon hard times. Widowed in 1883 (Charles (Jnr) died at the age of 47), Hannah is listed by Reverend Gedge amongst the deserving poor in receipt of parish benefits and Poor Law relief in 1889. She had taken in lodgers by 1891 and all daughters but her youngest had left home, presumably for a life in service. When the Great War of 1914-1919 broke out (although the Armistice took effect on 11th November 1918, peace was not agreed and hostilities formally ceased until June 1919), various members of the family answered their country’s call. Godfrey James Harfield (grandson of James and Sarah through their second son also called James) was already a regular soldier with the 6th Battalion, Hampshire Regt., in August 1914 and he was shipped to India in October 1914. Having completed his contracted years of service, he was demobilised with a honourable discharge in May 1916 and promptly re-enlisted for the Western Front. Assigned to the 7th Battalion, South Lancashire Regt., he was killed in action on Tuesday 31st July 1917. His remains are amongst the many thousands that have never been recovered and he is remembered on the Menin Gate memorial and the village memorial. Godfrey’s brother Douglas Charles was probably the first Harfield to see action, being erroneously reported as wounded in action by the Hants & Sussex News as early as 30th September 1914. Both men played football for Petersfield United. Their uncle, John, the sixth child and fourth son of James and Sarah, was also a Territorial when war broke out having previously been a regular soldier who saw action in the Boer War from November 1899 to September 1902 (in which, coincidentally he also served in the South Lancashire Regt.). Although a Territorial with the 6th Battalion, Hants Regt., when embodied back into the regular army the day after war broke out he was transferred to the Royal Engineers, serving in France from June 1917 until July 1919. From Charles and Hannah’s descendants one son and a grandson have so far been identified as serving in the war. Their fifth child and second son, Frederick, (who married Rosina Hill from Buriton) served in the Royal Army Service Corps and was transferred to the reserve upon demobilisation in April 1919, at which time his specialist skill is recorded as being a light car driver. Percy Harfield, grandson of Charles and Hannah by their eldest son Edward Charles, is recorded on the electoral register for 1918 as being an absent voter because of naval/military service. At this time no further information has been discovered about his military service. He died at Gosport in 1945. These notes, written in 2002, capture part of the family’s associations with the village.